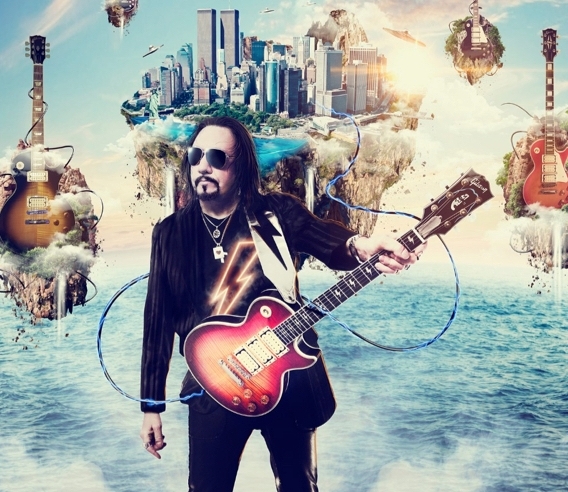 Ace Frehley will launch his upcoming covers album, “Origins Vol. 1”, with a live interview event in New York on March 23. As part of the Backstory live interview series, the guitarist will sit down with Guitar World magazine editor Brad Tolinksi at the AOL studios to discuss the project that sees Frehley covering classic tracks by Led Zeppelin, the Rolling Stones, KISS, Jimi Hendrix, Steppenwolf, Thin Lizzy and Free, among others. Due April 15, Frehley is joined on the record by guests including former KISS bandmate Paul Stanley, Slash, Mike McCready of Pearl Jam, Lita Ford and John 5 as he traces the roots of his own career. The Backstory event provides fans with the live interview, a meet and greet with Frehley and a limited edition autographed poster. Frehley is previewing “Origins Vol. 1” with his version of the Cream classic, “White Room”, with drummer Scott Coogan joining the guitarist on lead vocals.